When you think of medical malpractice injuries, you probably think of injuries that occur in a hospital. A doctor neglects to deliver quality care, which leads to unnecessary pain and suffering. The doctor could also make a mistake during a procedure that permanently affects a patient’s quality of life. However, medical injuries can also occur in a pharmacy. If a drug company’s or pharmaceutical worker’s negligence caused you to sustain injuries, you still deserve compensation. Call the law firm of Otorowski Morrow and Golden, PLLC. when you need a pharmaceutical injury attorney in Seattle, WA. We have over 120 years of combined experience, and we’ve handled thousands of cases, so you can depend on our representation. They can happen due to the drug company’s negligence. 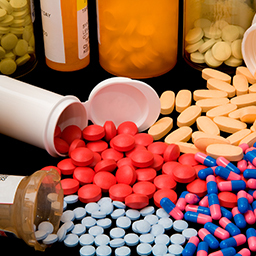 Of the thousands of medications on the market, many could potentially cause severe or permanent harm. Even with regulations from the Food and Drug Administration and other organizations, some drug companies still produce drugs that could cause injury or don’t have adequate warning labels. These injuries can also occur at the pharmacy. Pharmacies can make mistakes when they fill prescriptions. If someone gets the wrong prescription, catastrophe could occur. The wrong drugs or combinations of drugs could lead to organ failure and even death. If your pharmacy or drug company caused your injuries, you deserve help. Let the professionals at Otorowski Morrow and Golden help you win restitution. Two of our attorneys worked as nurses before practicing law, and they understand exactly how the medical process works. This means that we can more thoroughly understand what went wrong so we can increase your case’s success. Don’t let a pharmaceutical injury in Seattle, WA ruin your quality of life. Call us toll free at 888.842.1001 to schedule your free consultation.